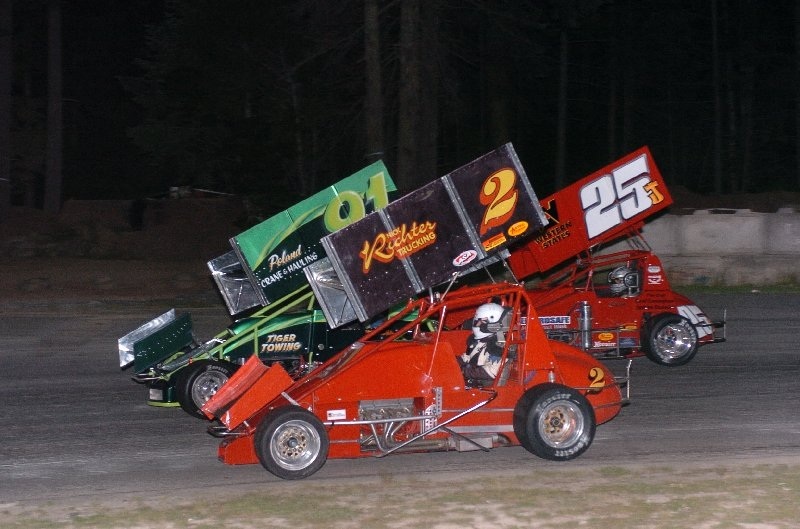 Sponsored by Richlock rentals and presented by Western Speedway, the o.t.r.a.series, the wilroc lites, and the wilroc sprint car series took part in a full program of trophy dashes, heat races, and feature events. 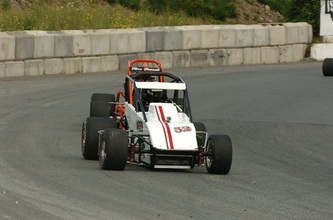 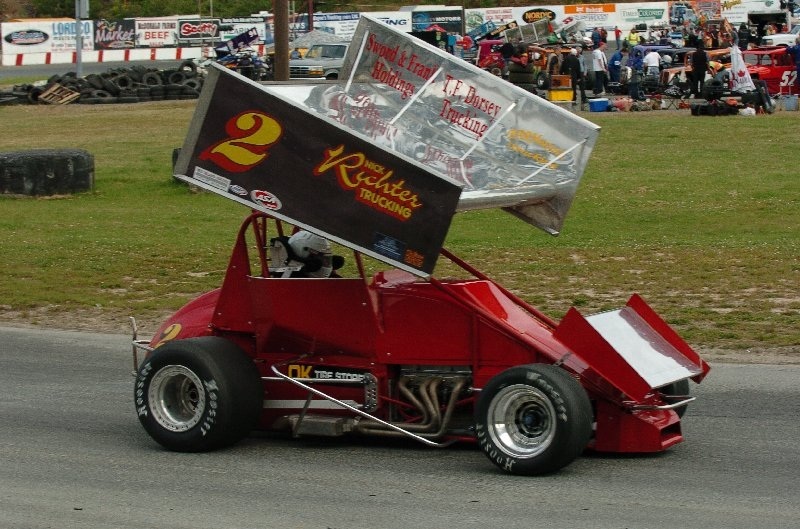 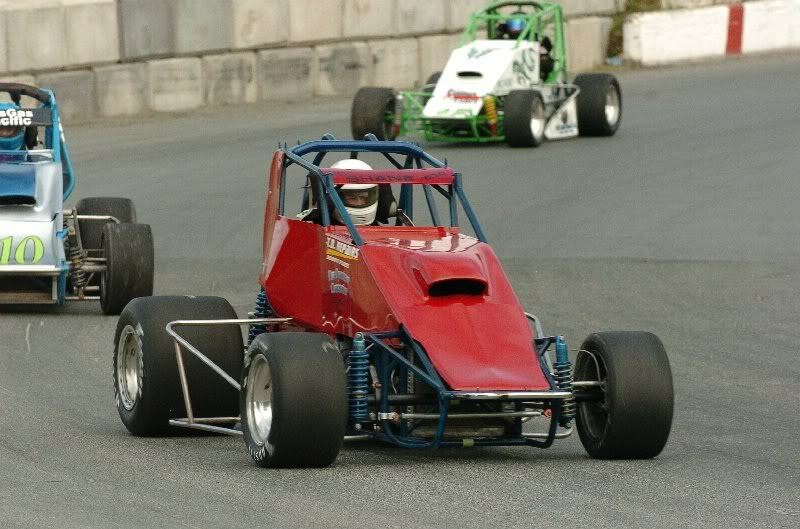 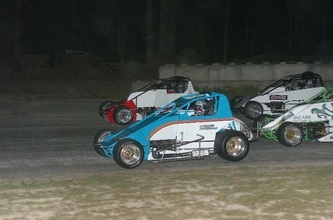 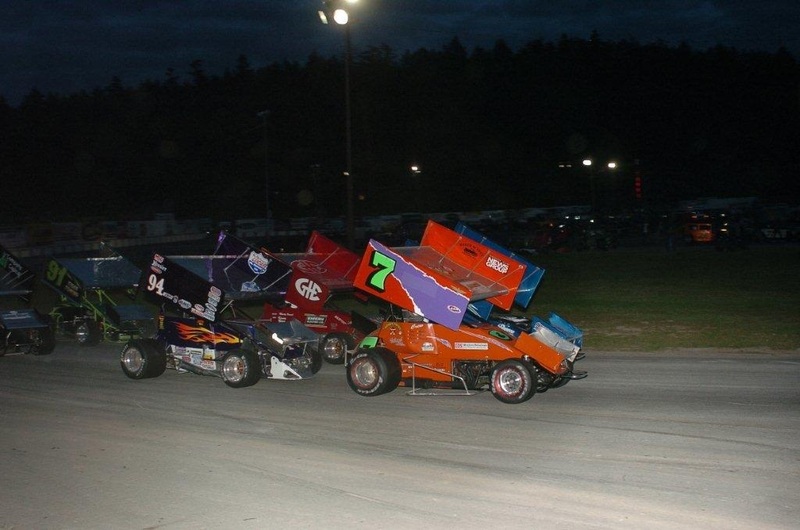 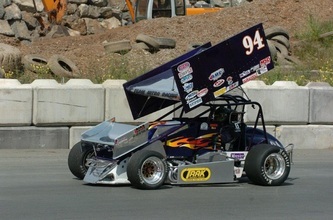 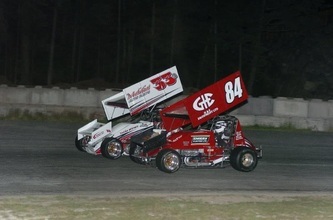 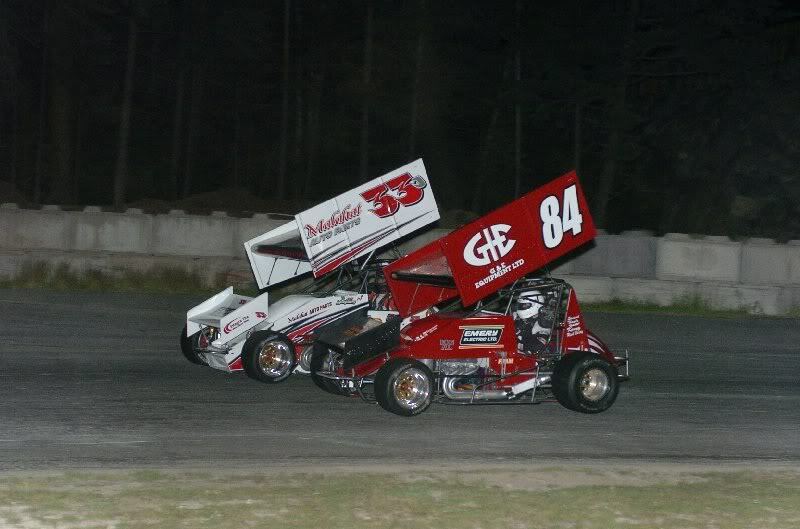 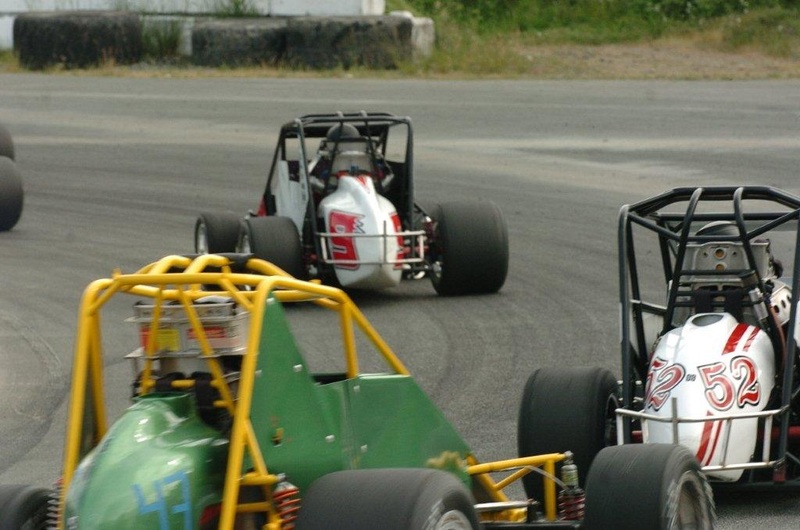 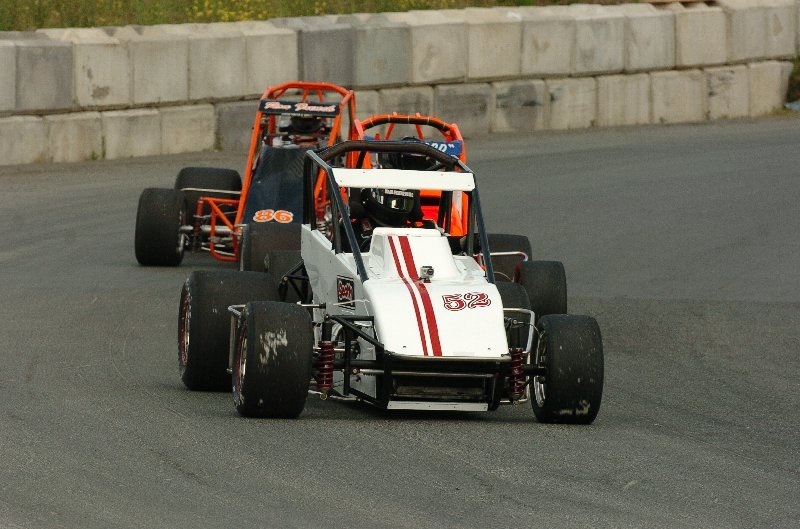 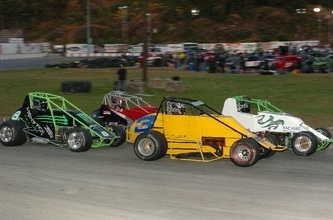 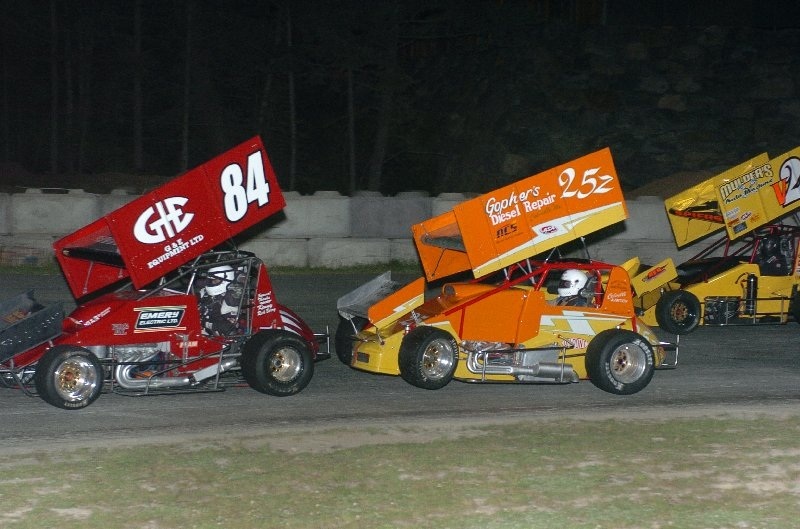 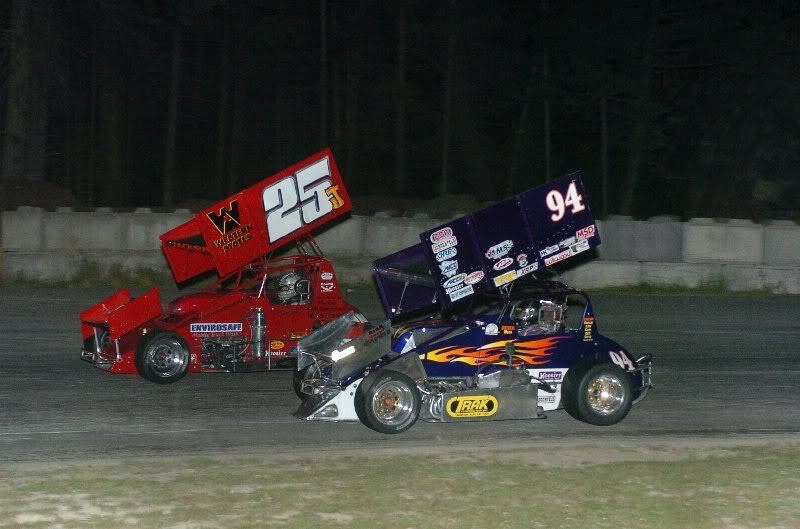 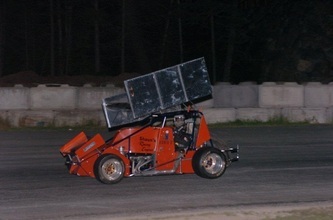 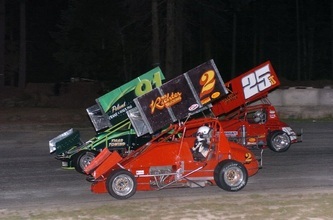 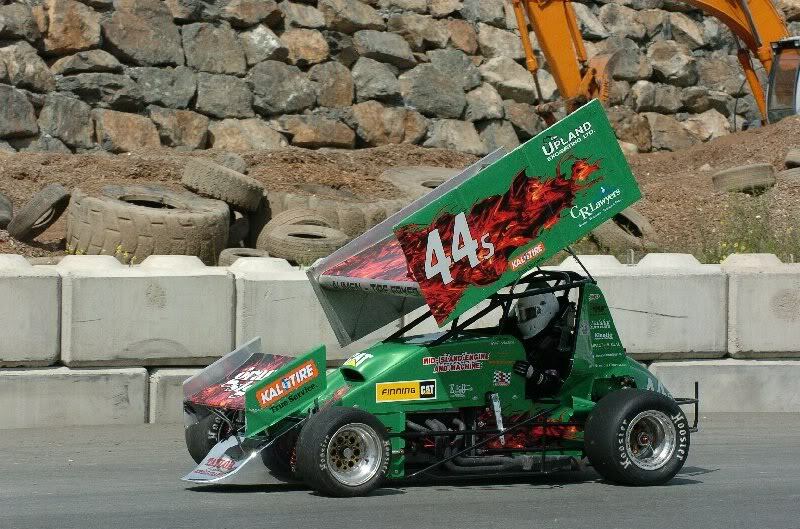 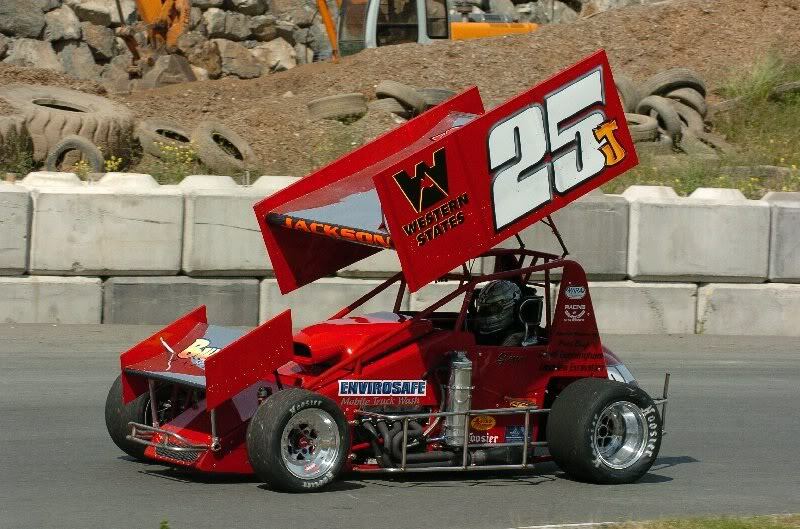 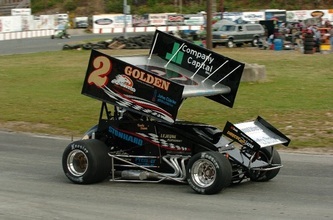 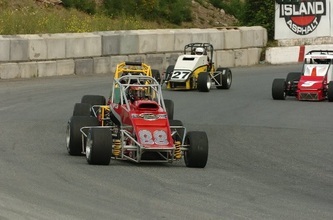 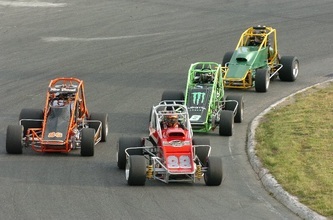 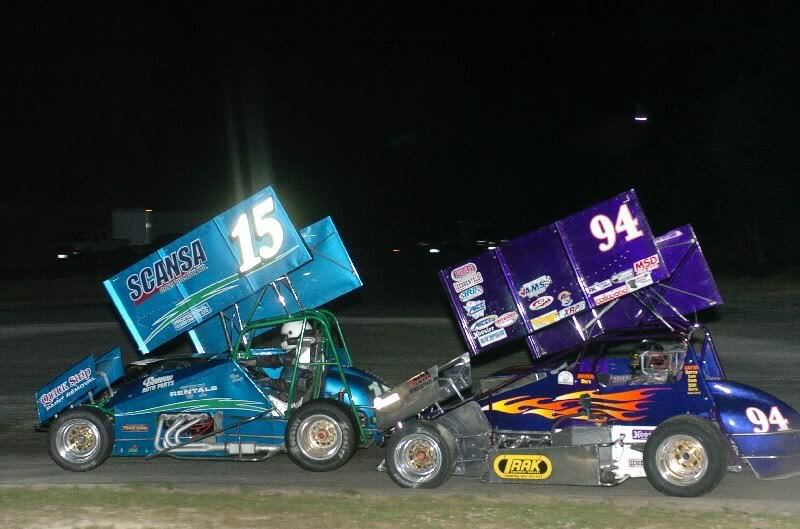 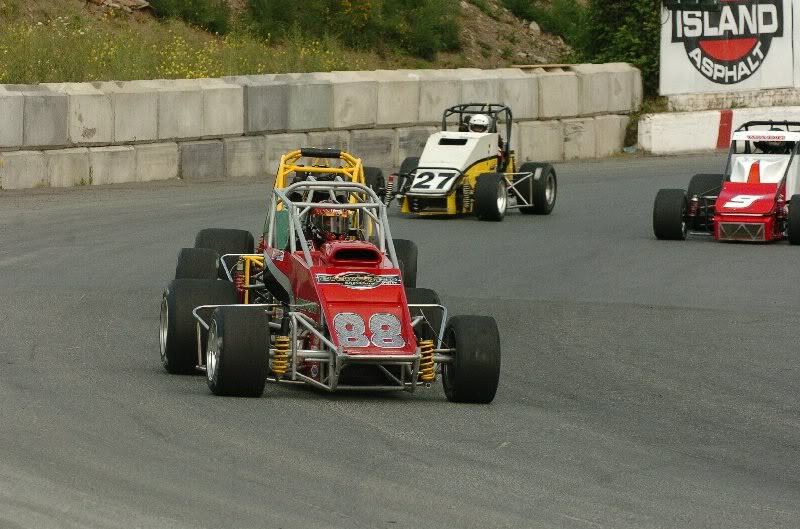 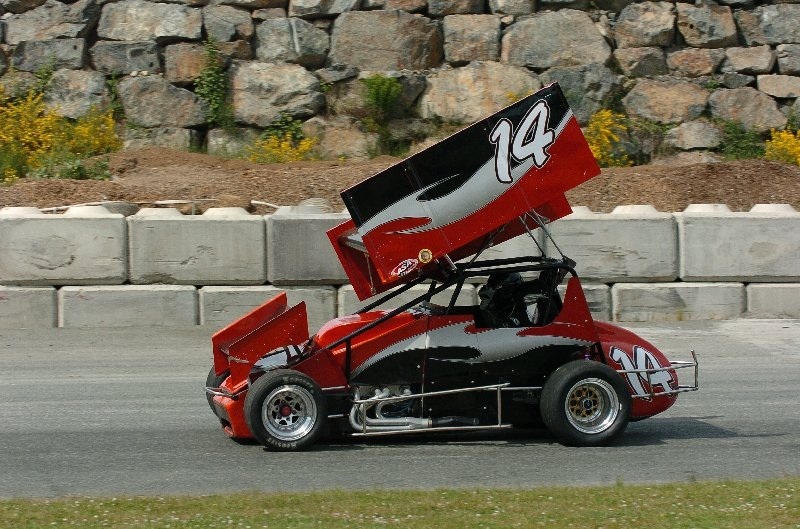 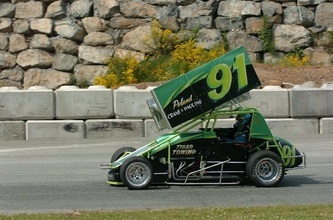 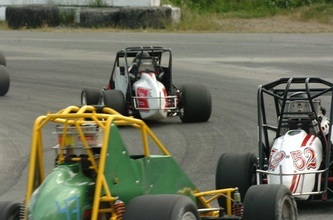 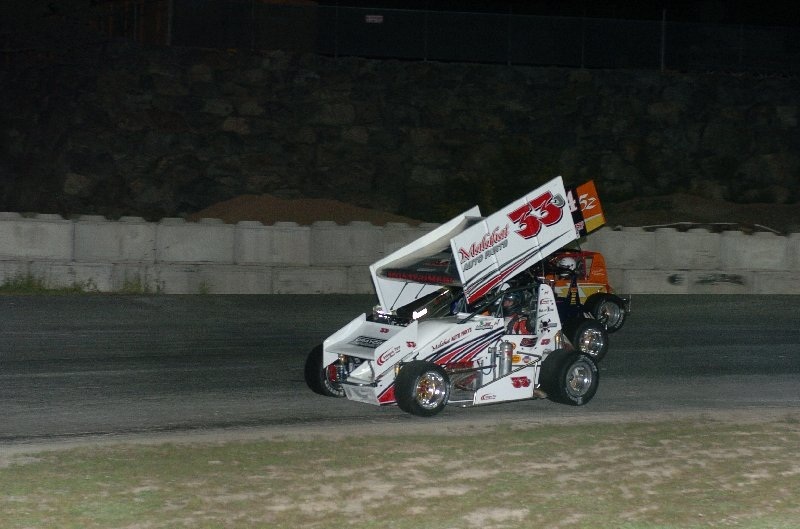 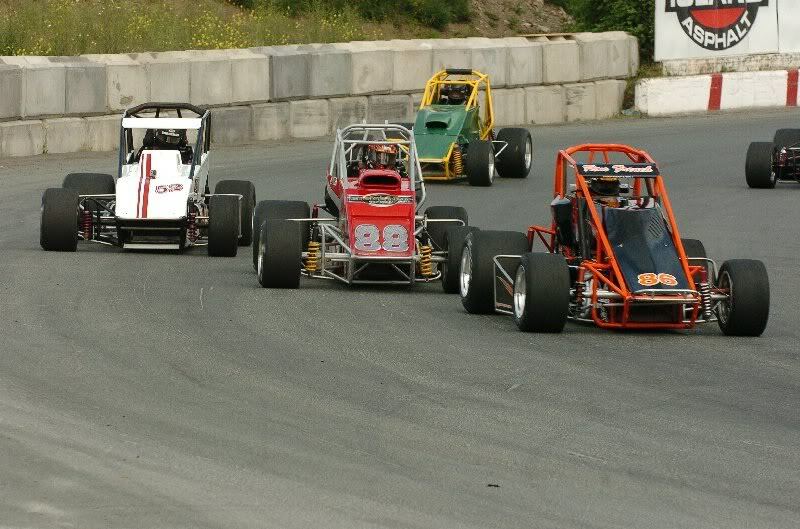 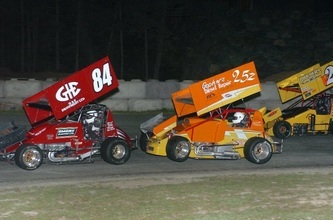 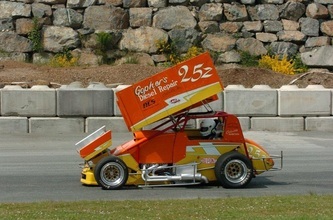 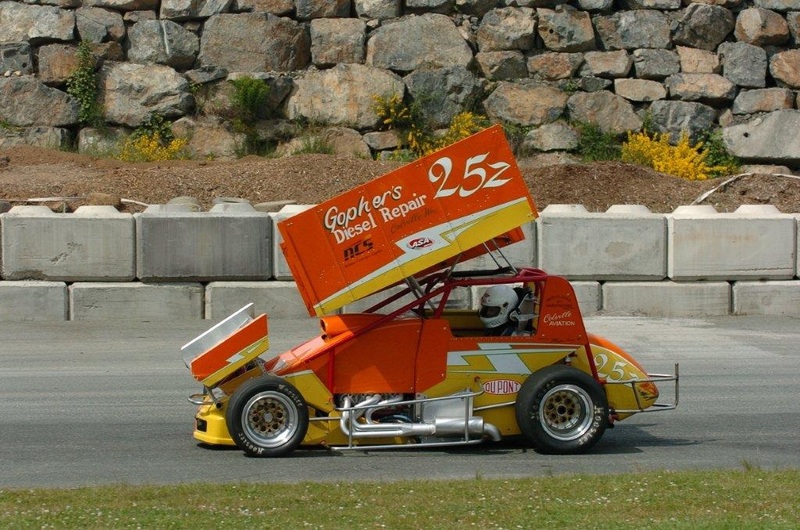 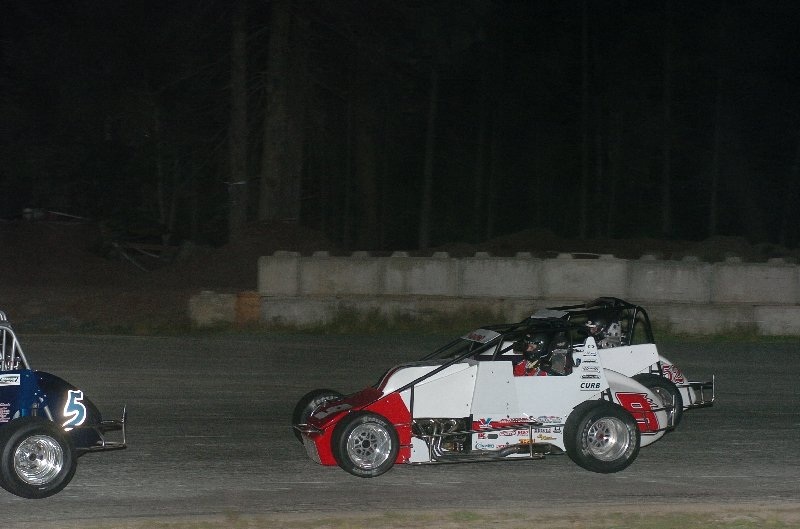 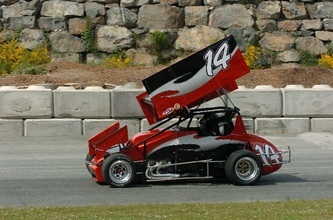 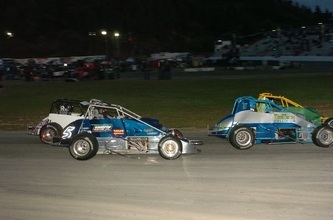 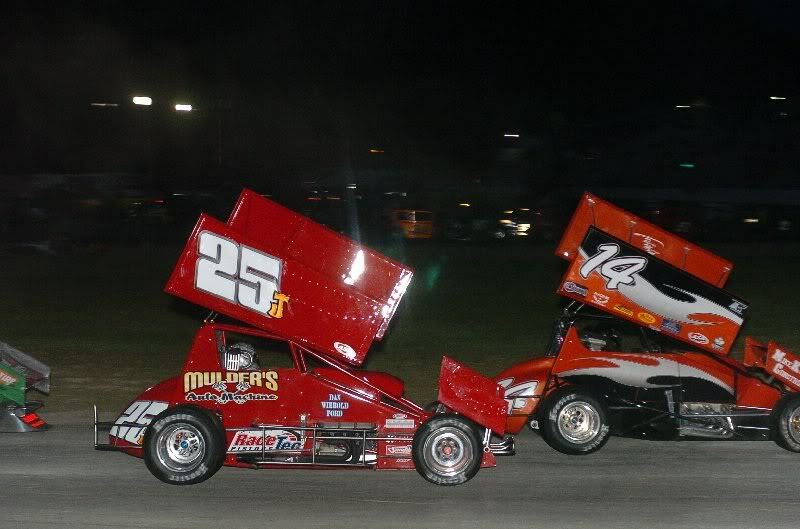 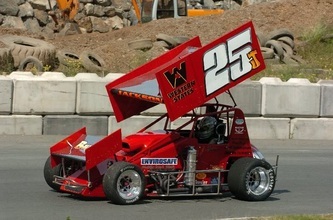 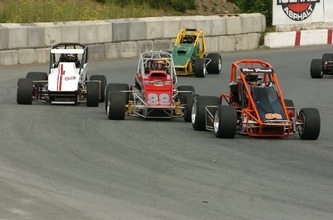 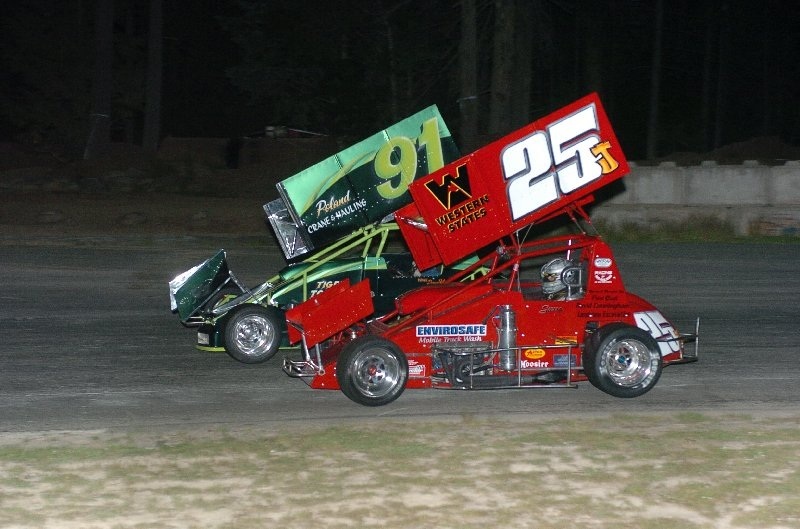 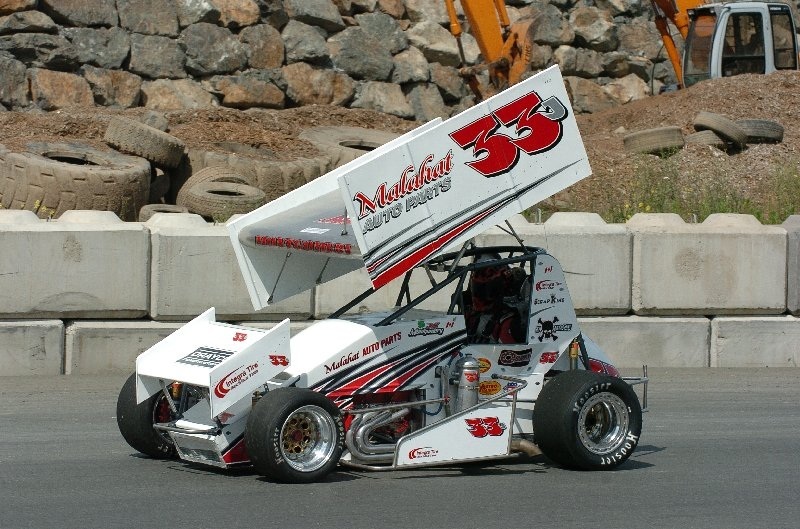 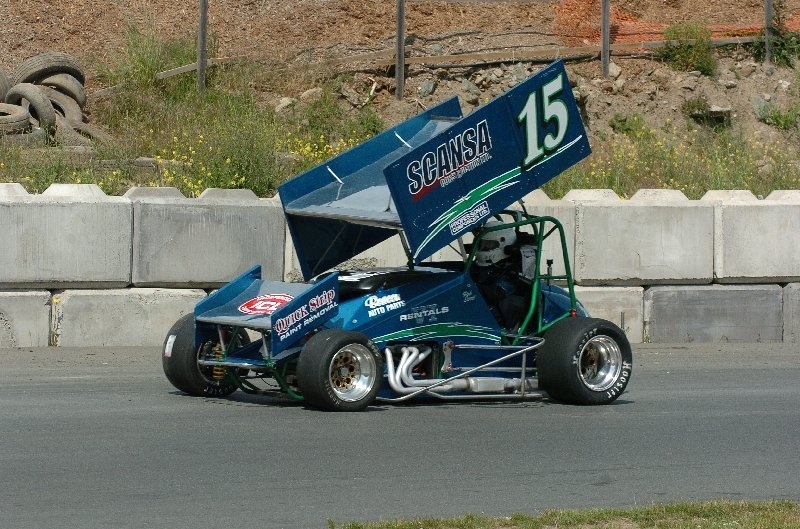 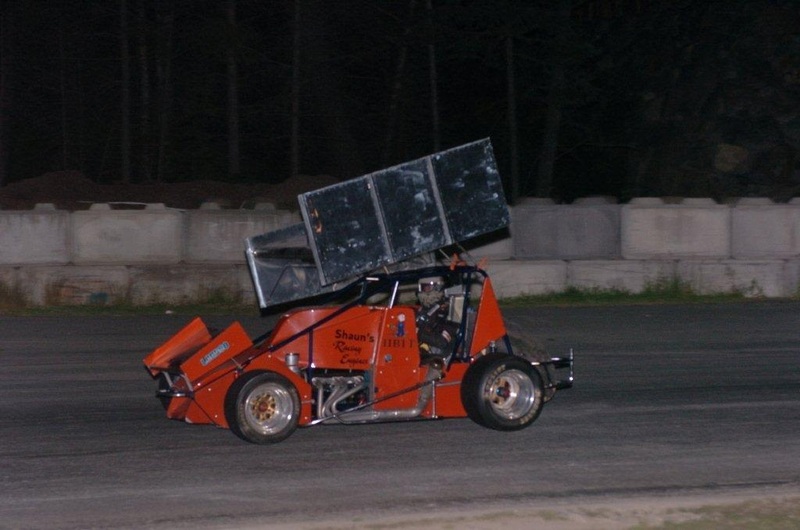 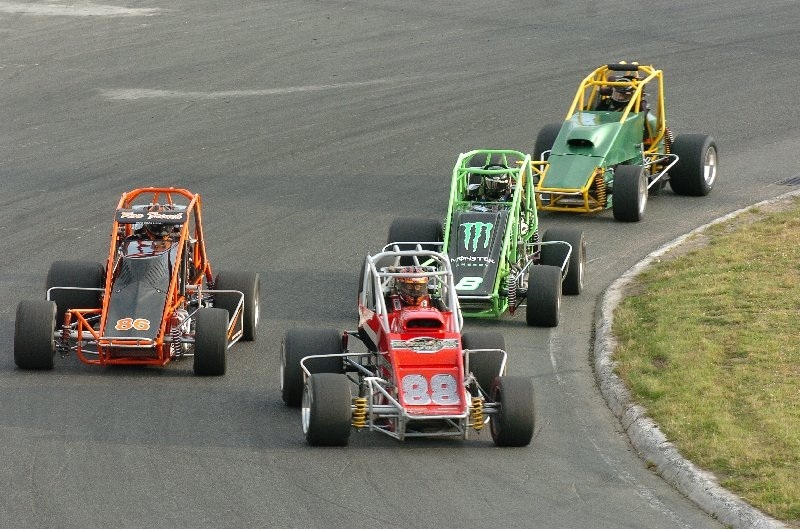 this was the season opener for the local wilroc sprint car series and they were joined by several drivers from the n.s.r.a. series that included darren spiers, chris schmelzle, matt mansell, jeff "the hurricane" montgomery, and sierra jackson. 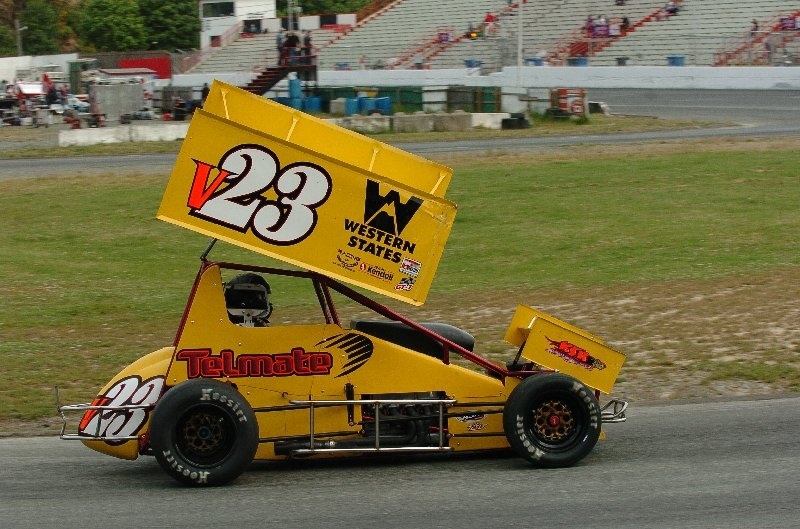 john stokes also made the long trip from fort st. john as did merv bercelo from edmonton, alberta to run for the billy foster memorial trophy. 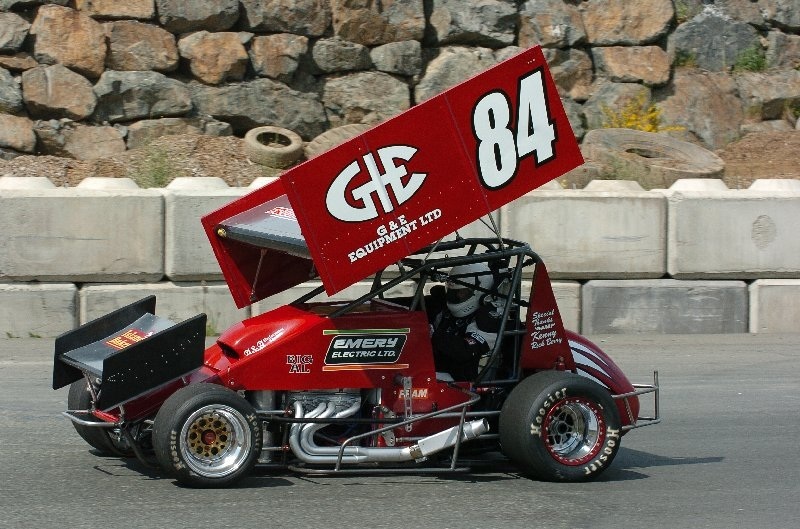 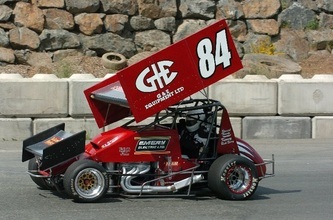 jackson, after a successful run in boise, idaho last week end, showed the guys how to get around western speedway by posting a 13:815 qualifying lap just ahead of matt mansell who posted a 13:867 the only drivers to best the 14:00 second lap time. 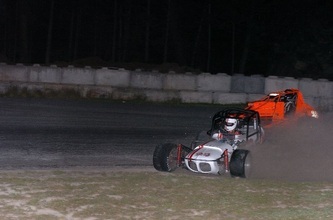 this young lady is not afraid to put the hammer down. 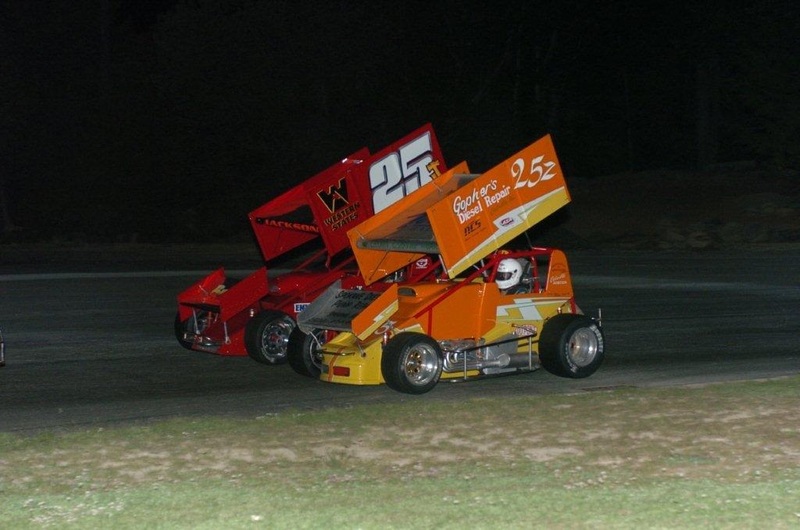 Brian bickford and jesse dardengo took the honors in the wilroc lites series, and mark fisher and matt mansell won the wilroc sprint car dashes. 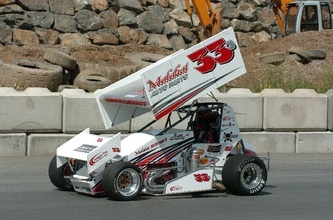 problems plagued several drivers early as chris schmelzle had a bolt break holding the brakes together that kept him out of the dash. 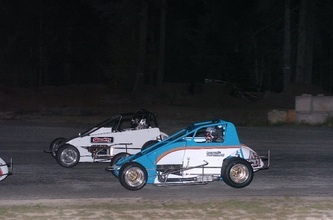 earlier, montgomery had a magnito problem and slowed him in qualifying and wayde heckford had a problem with the rear end and eventual had to change it before the feature event, and jeff bird chased a problem all evening and dropped out early with the lites series. 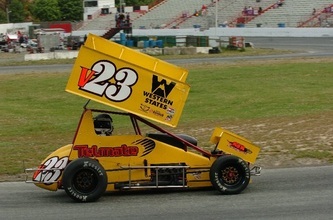 Brain bickford won the lites b heat with chris root winning the a heat race as well. randy vincent won the b heat for the wilroc sprint cars and that little problem mongomery had earlier was fixed and he looked like he was shot out of a cannon as he walked away from every one and took the a heat race for the sprints. 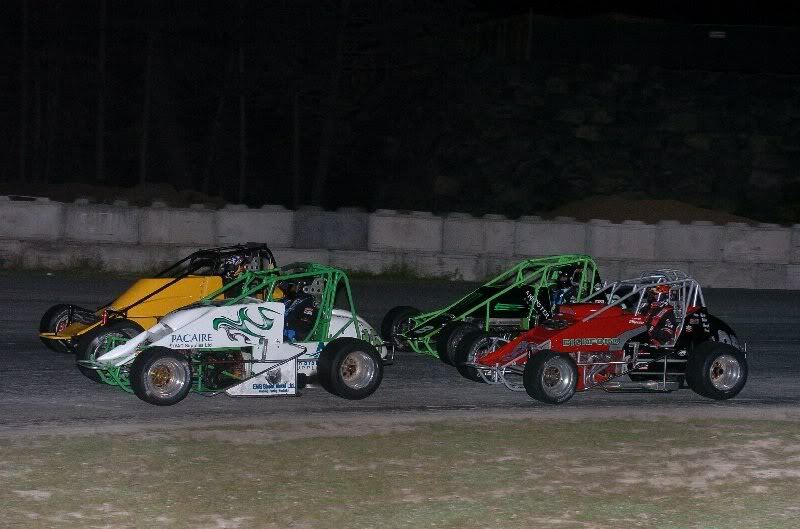 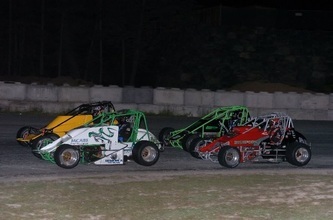 A big field of sixteen wingless sprint cars took the green flag for twenty laps of racing led by eli ross and jim giles on the front row in the wilroc lites feature event. dale robinson grabbed the early lead as the yellow flag came out after just two laps as chris root spun his car around. on the restart, robinson again grabbed the advantage followed by brian bickford right on the rear nerf bar of the leader. 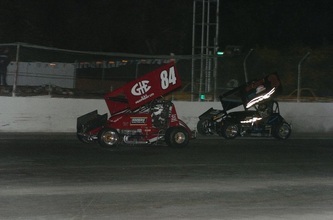 on the fifth lap, the yellow again came out as several cars were involved in a spin out that included stephan dardengo, deter lajeune, and jesse dardengo. jesse's car suffered severe steering damage and that would end his run early as he was pulled to the pits. 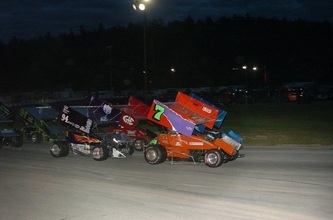 again on the restart, robinson got away first with bickford still attached to the rear end of the leader as behind them wayde heckford and ryan wade battled for position. 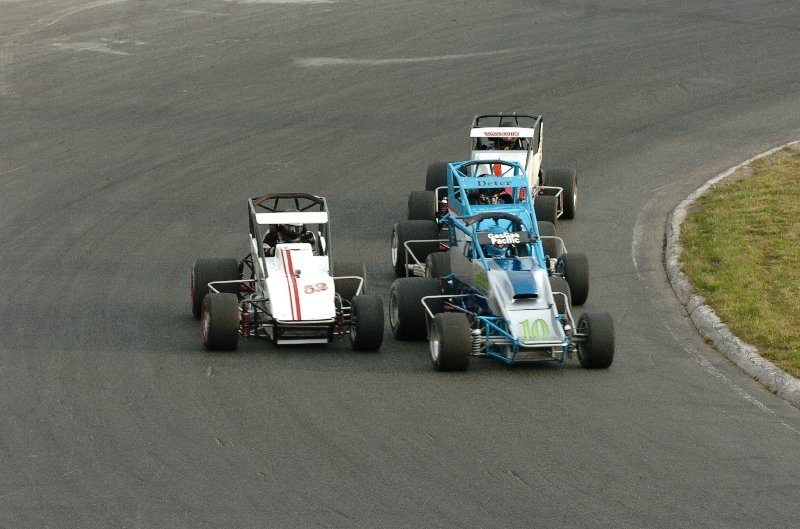 heckford's charge to the front was short lived as he entered the pits with further mechanical problems and his spot was left to lejeune. on lap eighteen, wade lost control and slammed into the frontstretch wall bringing the end to his night and the race as robinson claimed the win followed by bickford, root, lejeune, and guy barrett rounding out the top five cars. 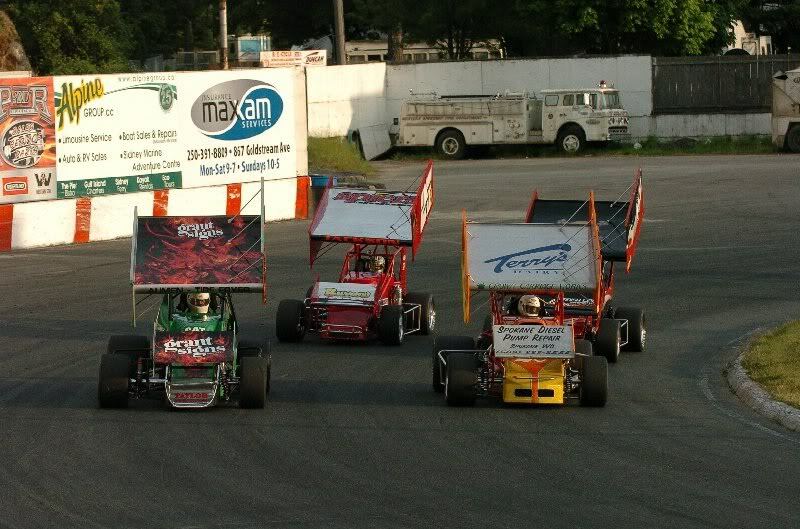 Twelve high powered winged sprint cars lined up for the start of the billy foster memorial race led by rob scott and mark fisher on the front row. 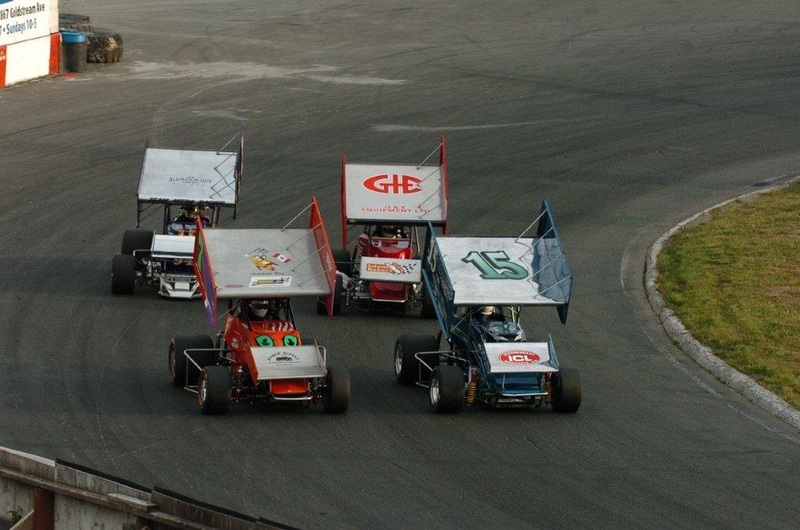 with the drop of the green flag, scott jumped to the lead until the yellow came out early as ron larson and john stokes got together and darren yates and sierra jackson came into the pits for a quick check on their machines both able to continue but at the back of the field. 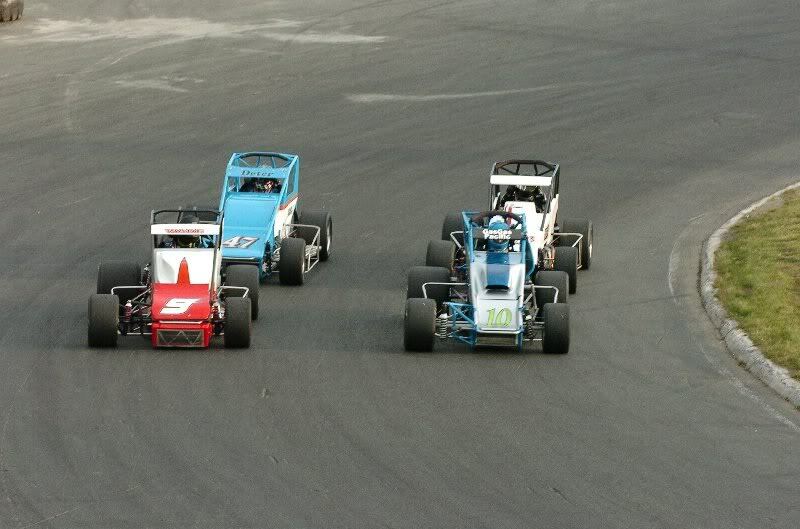 on the restart, scott aumen blasted from his eighth starting spot and took over the lead on lap five while behind him jeff montgomery was coming up very quickly at one time blasting through the middle of two cars exiting turn two. on lap six montgomery had moved up to run third and blasted by rob scott for second on lap eight with chris schmelze moving to third one lap later and dropping scott back to run fourth. meanwhile, up front, aumen started to build a good lead while montgomery had a secure second spot. 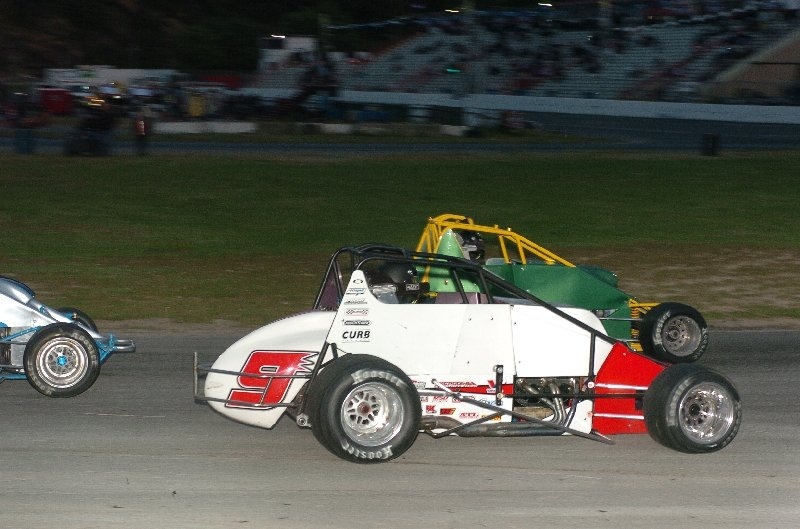 on lap ten, scott was way off the pace driving his car to the infield after a good run up front and just a few laps later randy vincent and mark fisher had problems bringing out the yellow. on the restart, aumen got the lead again but montgomery was right there and actually pulled to the inside and ran wing to wing with the leader challenging for the lead position. just that quick disaster struck for "the hurricane" as his drive line disintigrated on the #33 car leaving oil on the track and an early entrance to the pits for montgomery. 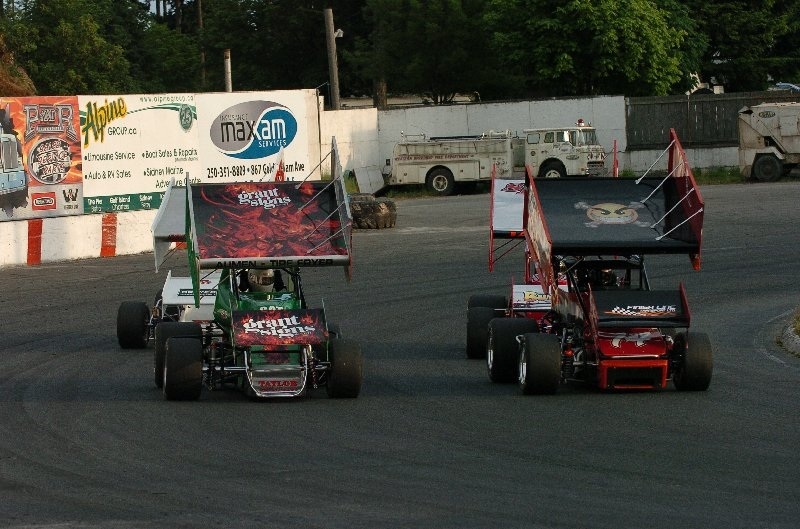 the race was red flagged as track crews mopped up the oil with darren spiers, marty venoit, and sierra jackson all spinning as a result all of this on lap eighteen. 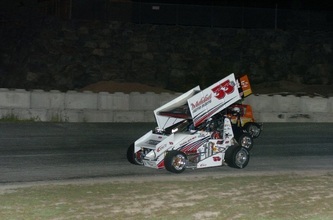 schmelzle had a good run going but a suspected rod ended his night as he was also fast and moving through the pack. on the restart, aumen again went into the lead and would go on to the chequered flag followed by matt mansell, sierra jackson, merv barcello, and darren yates the top five. these drivers will be back for round two and the strawberry cup saturday night and as most of the failures were more or less minor should all make the show.